Or maybe they've all just been watching too much of HBO's Game of Thrones. A question posed Wednesday (Nov. 19) to Acting Secret Service Director Joseph Clancy before the House Judiciary Committee suggests a little of both. Following several questions about the September security breach, Rep. Steven Cohen (D-TN), submitted a query reminiscent of medieval lore. Moats were often used to protect medieval castles. The director explained that the Secret Service was working with the National Park Service to come up with a solution involving the fencing first. Clancy also noted that the agency must balance accessibility to the White House and the historic nature of the building. He seemed to entertain the moat idea more than a higher-tech option, however. 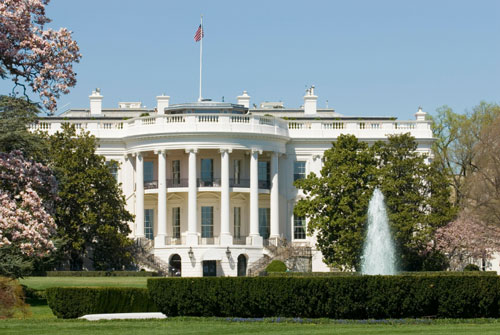 Rep. Louie Gohmert (R-TX) asked, “Would you be in favor of removing the fence around the White House and having, maybe, a virtual or electronic fence around it? Lawmakers have suggested building a moat or an electric fence around the White House. The director noted that renderings of a higher fence were in the works. The moat suggestion has incited a flurry of social media reactions.